Are you trying to find the perfect gift for your loved one that enjoys gardening? Well you’ve come to the right place! Here at Zoysia Farms, we sell many products that any gardener can use to plant various items such as grasses and plants. Because it is too late to plant our Zoysia at this time of year, our tools and other products will ship out much faster than usual. 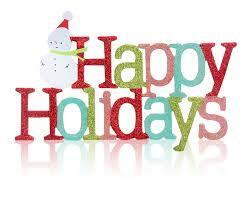 We wanted to give you a list of products that would make a great gift this holiday season. Feel free to also check out our website for further prices and information at http://www1.zoysiafarms.com/. To start off, we sell two planting packs that include numerous items for a great price. 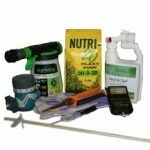 We sell the advanced planting pack which includes floral shears, Atlas Nitrile gardening gloves, Nutri-20 fertilizer, a hose-end sprayer, and our 4” Amazoy power auger. The other planting pack that we sell is the ultimate planting pack which comes with soft grip shears, Thrive, a pH meter, Nutri-20 fertilizer, a hose-end sprayer, automatic water shut-off, gardening gloves, and our 30” stand-up power auger. These planting packs are a great way to get your gardener all of the tools they will need to plant, and they ship free! Check out the planting packs at http://www1.zoysiafarms.com/category.jsp?id=1. If your gardener does not need all of those items, you can purchase items separately from those lists. 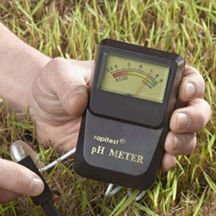 For example, our pH meter will help you test the acidity of your soil and can be purchased separately. It does not need batteries to operate and only takes seconds to give you an accurate reading. Moisture meters are great gifts for gardeners as well. They will give you an accurate reading for indoor plants as well as outdoor plants. They also come with a moisture guide to explain what the correct levels of moisture should be for different plants. Even items as simple as knee pads, gloves, or small spades can be good gift ideas for a gardener. We also carry unique blends of seeds for flowers and herbs you can purchase for next year’s planting. 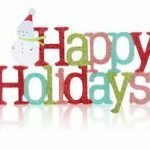 Feel free to check out our website for more descriptions on each product, and we hope that you will find the perfect gift for your gardeners this holiday season!